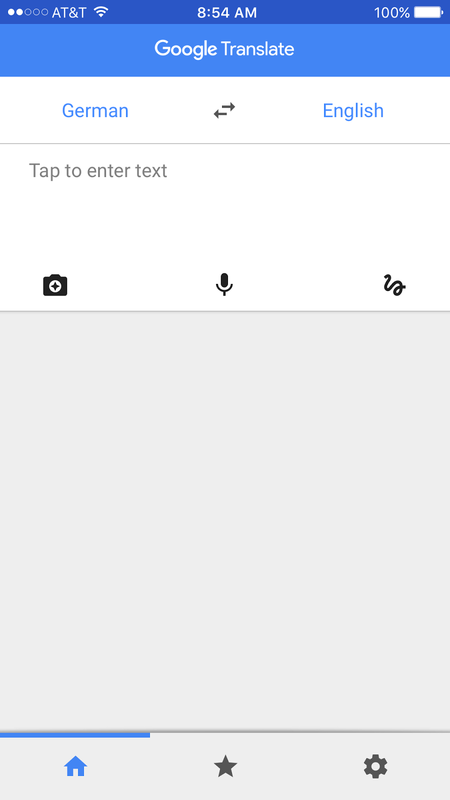 In 2016 Google Translate expanded its language translation coverage to more than 100 languages. This week in the Brigham Young University Family History Library, I was helping a patron with some German research. She found some documents in German and was puzzling over them. I pulled out my iPhone and went to the Google Translate app and turned on the camera usage and held the iPhone up to the computer screen and was soon reading all of the German instantly translated into English. It is always surprising when a new technology suddenly becomes useful and it is only a small step to when it become indispensable. 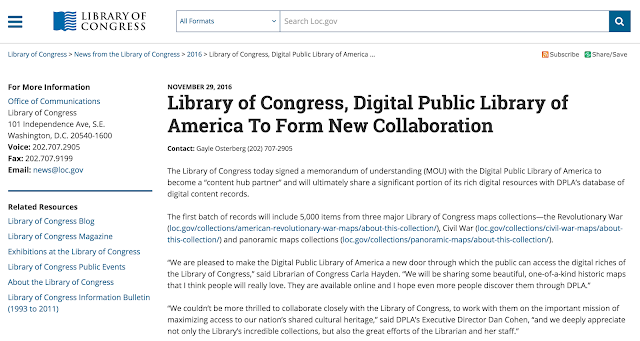 Library of Congress items already appear in the DPLA database. Earlier in this decade, the Library digitized more than 100,000 books in its collections as part of its membership in the Hathi Trust and the Biodiversity Heritage Library, both current partners with the DPLA. As a result, those books are already in the DPLA’s collections through those partners. 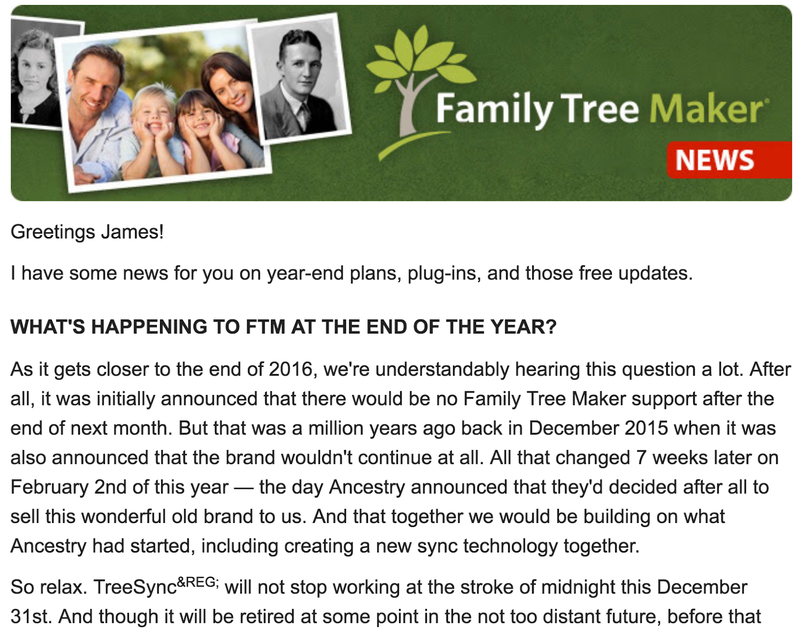 One of the big genealogical news stories of the past year was the abandonment of the popular genealogy program, Family Tree Maker, by Ancestry.com. Ancestry initially announced that sales of the program would be discontinued and ultimately by December 31, 2016, support for the program and the ability to sync with an online family tree would end. However, just before RootsTech 2016, MacKiev.com announced that it had purchased the rights to the program and that support and sales would continue. As it gets closer to the end of 2016, we're understandably hearing this question a lot. After all, it was initially announced that there would be no Family Tree Maker support after the end of next month. But that was a million years ago back in December 2015 when it was also announced that the brand wouldn't continue at all. All that changed 7 weeks later on February 2nd of this year — the day Ancestry announced that they'd decided after all to sell this wonderful old brand to us. And that together we would be building on what Ancestry had started, including creating a new sync technology together. So relax. TreeSync® will not stop working at the stroke of midnight this December 31st. And though it will be retired at some point in the not too distant future, before that happens, there will be new syncing technology available to replace it. It's already well into development and we will be starting outside beta testing in the next few weeks. And that means syncing as we know it for FTM is going to live on into 2017 and beyond. So if you've been worried about what happens at the end of the year, well you can just stop worrying. Syncing, Search, and Shaky Leaf hints are all here to stay. • Users of FTM 2014 and Mac 3 - Free updates are coming soon. If your copy is working well, just hang in there and sign up for the FTM Mailing List at www.familytreemaker.comto be notified as soon as the updates are available. If, however, you are experiencing crashes or the application has slowed to a crawl with really large trees, see “What About That Free Update” below to find out how to get an interim update sooner. 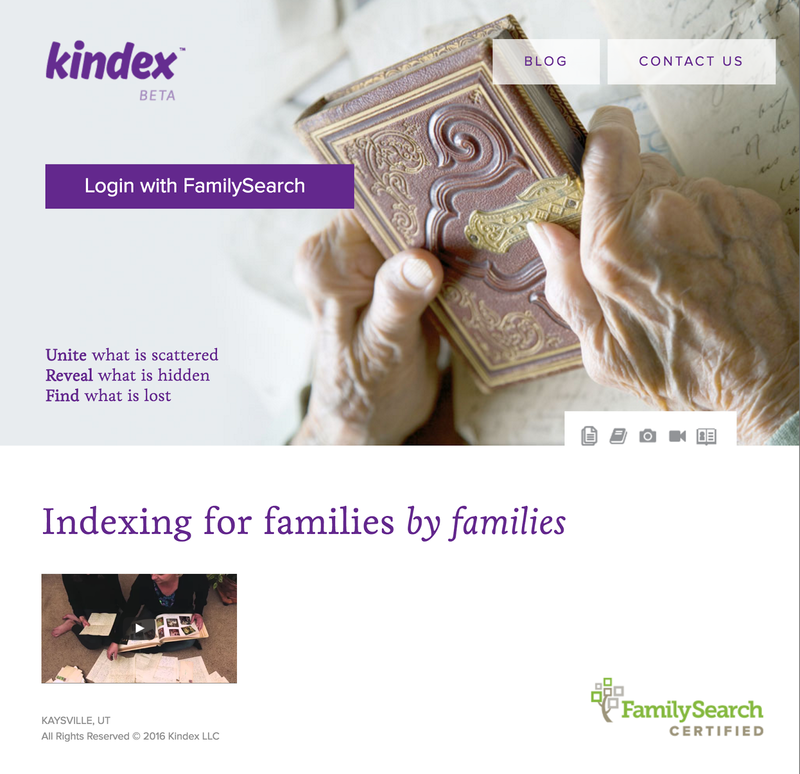 An interesting phenomenon for genealogists is the fact that many governmental agencies and other organizations restrict access to basic genealogically relevant records without any discernable reason or justification. Sometimes these restrictions are even in violation of the existing laws requiring Freedom of Information or the so-called "Sunshine Laws." One genealogically oriented organization called Reclaimtherecords.org or Reclaim the Records, is trying to do something about this rather obnoxious situation. In Missouri, death certificates that are more than fifty years old (i.e. pre-1965) are considered open to the public. But Missouri currently does not have a basic genealogical index available to the public for deaths that occurred in the state after 1965. In early 2016, we discovered that Missouri’s state Vital Statistics law actually may allow for the publication of basic death index data, even though they have not done so in the past. So in February 2016, we filed a request under the Missouri Sunshine Law to get that Missouri state death index released to the public. And in November 2016, that request turned into a lawsuit. More information about the process of public record requests, including the Missouri case, can be found on MuckRock.com. Long ago and far away, I began investigating the strange and fascinating online world of Bulletin Boards and ListServs. I had access to the network as an employee of the Maricopa Community College System and took the opportunity to sit in the libraries of the community colleges where there were terminals open for students and staff. I soon saw the value of the universe of information that opened up to me as I literally crawled around the world online for the first time. The list of topics goes on and on. Some of the threads have posts in the thousands, for example, the thread "Jewish Roots" currently has 5,280 posts. In addition, each of the counties in England, Ireland, Scotland, and Wales have sub-forums and this also includes the Channel Islands and the Isle of Man. There are also forums for Australia, Canada, Europe, India, New Zealand, South Africa, USA, West Indies and the Rest of the World. The list of forums also includes private forums for Family History Societies and forums on software and computing. There are presently 72,710 threads with 499,036 posts and 62,843 members. Recently, we were challenged by two major electronic events. The first was that my wife's computer, an older Apple iMac, finally got so bogged down as to be almost unusable. What happens with computers is that as they are used, the hard drives fill up with unusable junk. Sometimes bits and pieces of programs and files that slow down the operation of the computer. Also, the operating system and other programs on the computer are being constantly upgraded or at least they should be. The upgrades often come in response to the development of faster, more powerful computers. Eventually, the new operating system is slowed down by the older computer chips. All of this probably goes unnoticed to the average user, especially those who are still operating an old PC with Windows Vista or some such. When you are working for extended periods of time on a computer, this creeping slowdown finally reaches a breaking point. Some people simply stop using their computer. We don't have that option. We have learned to go out and buy a new computer and start the process all over again. For a while, the new computers solve the slow down problem and transferring all the data addresses the fragmented program problems. The newer operating systems then take advantage of the new processors and everything about the computer speeds up and life is good. One issue that continues to plague genealogists who are using computers extensively, is the vast amount of data that accumulates from scanned documents, photos, notes, and a myriad of other stuff that goes along with research. Over time, I have had to move to larger and larger capacity storage devices and migrating the data from one device to another is a constant battle. Fortunately, the price of the new storage continues to drop. The latest hard drives are 8 Terabytes and cost only $179. Another challenge was that the 12-volt battery in our Prius V died. When that happened in the past with regular non-hybrid cars, all you had to do was jump the battery and charge it for a while or get a replacement. When the Prius battery dies, the car goes dead. You can't even open the rear hatch to get to the battery which is in the back of the car. Well, all turned out easily fixed. In fact, it was the easiest battery change I have ever done in my life and I have changed out a lot of batteries over the years. How did I know what to do with the dead battery? I looked on YouTube.com of course and watched a couple of videos on how to change out the battery and open the back hatch. Back to the data movement. As we transition to a new computer, we realized that we were still scanning documents and the accumulation had now reached monumental proportions. We decided we needed to make sure all of the documents were on both my computer's hard drives and on my wife's hard drives. So I ordered a new 8 TB hard drive and began the process of transferring the data; over 700,000 files. That process is going on now, for the second day, and will likely take over two days to make the complete transfer. So what do we do with all that data? The scanned images need to be identified. The photos need to be tagged and uploaded to the appropriate people in the FamilySearch.org Family Tree and the duplicates need to be deleted. All that has to take place between two separate computers. The first step is consolidating all of the data on my wife's computer with that on mine on one hard drive. Then using that hard drive we will create a "working file" for all the documents we are currently working on identifying. Then we will move the completed files to a "completed file folder." The huge amount of working space on the 8 TB drives makes this all possible. We will likely incorporate online storage in the process also. What we feel is appropriate will be added to the Family Tree. This whole process becomes a background to all the other activities we are involved in from day to day. All of our changes are constantly being backed up to other backup hard drives or to the internet in cloud storage programs. There are still some issues, but they are minor. When you go to "transcribe" a photo, you can write a narrative but tagging has yet to be implemented. 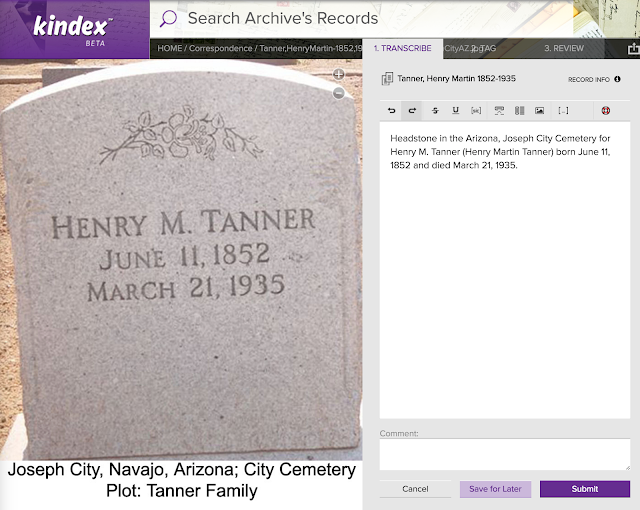 Transcribing, makes the content of the image useful for searching, just as is intended by the Indexing program of FamilySearch. However, your own documents and photos are not searchable as images, hence the need for a personal indexing program. For example, this is a photo of a grave marker for my Great-grandfather. Unless I indicate what is on the grave marker, the image is not searchable by his name. In addition, the program allows for collaboration between family members who can work on the same documents from FamilySearch.org. Once I have transcribed the grave marker, the document in this case, the transcription then goes into my Kindex Archive. If I wished to do so, I could copy the text and then click on View Original and add the text as a comment to the original. Right now, there is a limitation on editing any images or documents that I personally did not submit to FamilySearch.org Memories. This severely limits the ability of family members to actually edit the items in the Memories section. So, having a place to add and store the additional information about the images is important. It would be helpful if FamilySearch allowed me to add information to the images uploaded by others. This is a good program to watch and use and will undoubtedly get better. Descent and distribution of real and personal estate. Sometimes I feel it is almost amusing to hear various genealogists, when teaching classes or helping those less experienced, advising their students to "search the probate records." The fact situation in the Kurtzman's Estate case is an illustration of the origin of my amusement. At the time of his death H.A. Kurtzman was the owner of 1,499 shares of the capital stock of the James Henry Packing Company and of certain furniture, all of which had been bequeathed to him by his aunt, Sophia Braman Henry, his mother's sister. Decedent, who died intestate, was not survived by spouse, issue, parents, brothers, sisters, nieces, nephews, grandparents, uncles or aunts, nor was he survived by any kindred of the half blood. He was survived by nine paternal first cousins (respondents) who are of the fourth degree of kinship, all descendants of his paternal grandparents (the Kurtzman blood line); and (b) by two maternal first cousins once removed (appellants) who are of the fifth degree of kinship, descendants of his maternal grandparents (the Braman blood line). Sophia Braman Henry, who bequeathed the specific property in question to decedent, was the great aunt of appellants and their grandmother by her adoption of their mother. The discussion of the Court in this case is an involved discussion of the grammar of the now-superseded statute. The issue here is who gets the property. 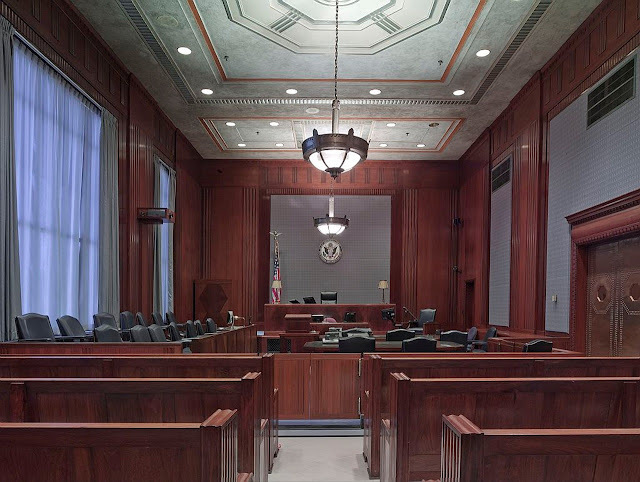 From a genealogical standpoint, you can probably see that the analysis of the Court is valuable genealogical information. But guess what? Searching the probate court cases in Washington would probably not provided this clarification of the relationships, especially the reference to the fact that of the adoption of the "great aunt." 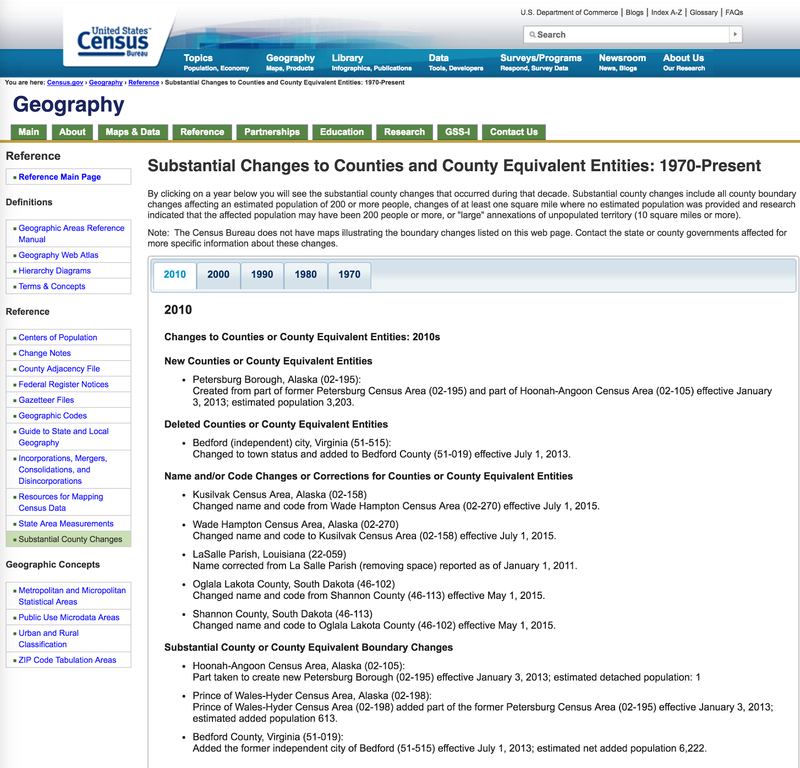 Here, the State of Washington has an extremely extensive online digital collection. 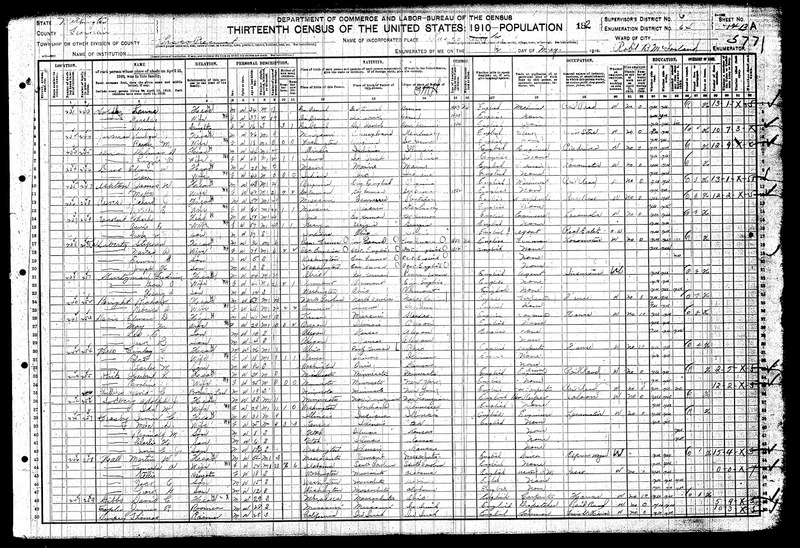 I was able to find a copy of 1910 U.S. Census Record that shows a Henry A. Kurtzman, as a child. 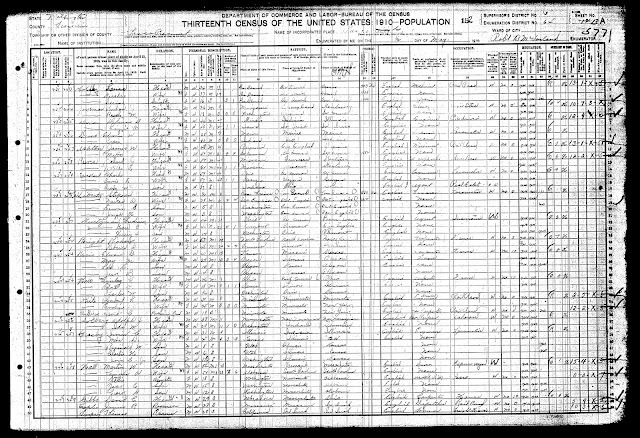 Database: 1910 Federal Census. ONLINE. 2003 and updated 2007. Washington Secretary of State. Transcribed and Proofread by the Washington State Genealogical Society. 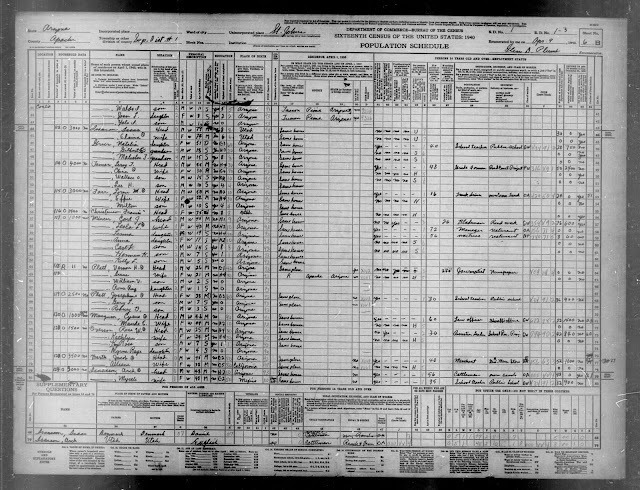 Source: 13th census, 1910, Washington [microform]. Washington, D.C.: Micro-Film Lab., Bureau of Census, [195-?] 1 microfilm reel; 35 mm. Without belaboring the point, there are a multitude of leads in this court case to other records that should be available about this family. It might even be possible to find a probate record. But there are several points to be made here. First, can you read the statutes cited above and tell me what they mean? This is the kind of language that takes someone who wants to become an attorney a considerable effort to understand. Next, can you understand the explanation of the relationships described by the Court and did you pick up the reference to an adoption? I could go on, but my purpose in writing about this subject is that genealogy is, by its nature, a complex and very detail oriented persuasion. 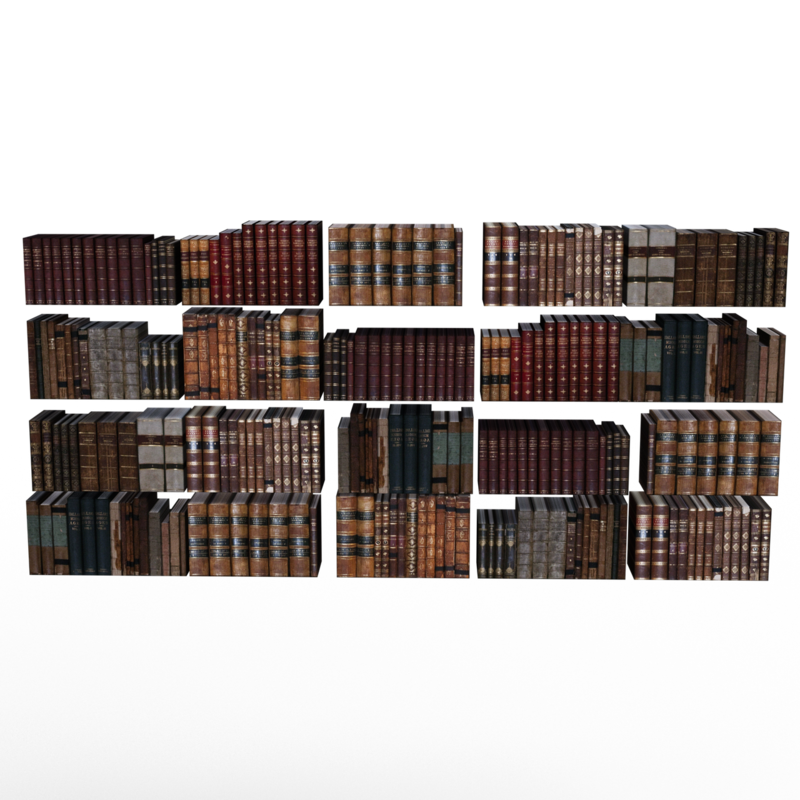 Just as going to law school is not for those who do not want to spend a great deal of time reading and studying, genealogy requires an understanding of many different disciplines and the terminology used by lawyers, doctors, historians, government agencies and many other sources of records. But even more important is the fact that this law case, which I readily found through using Google Scholar, contains some valuable information possibly previously unknown to the genealogical researcher and this may be the only place where this particular information is recorded in such detail. How many of us as genealogists think to search court records beyond simply looking for a probate record? There are many lessons to learn from this example. 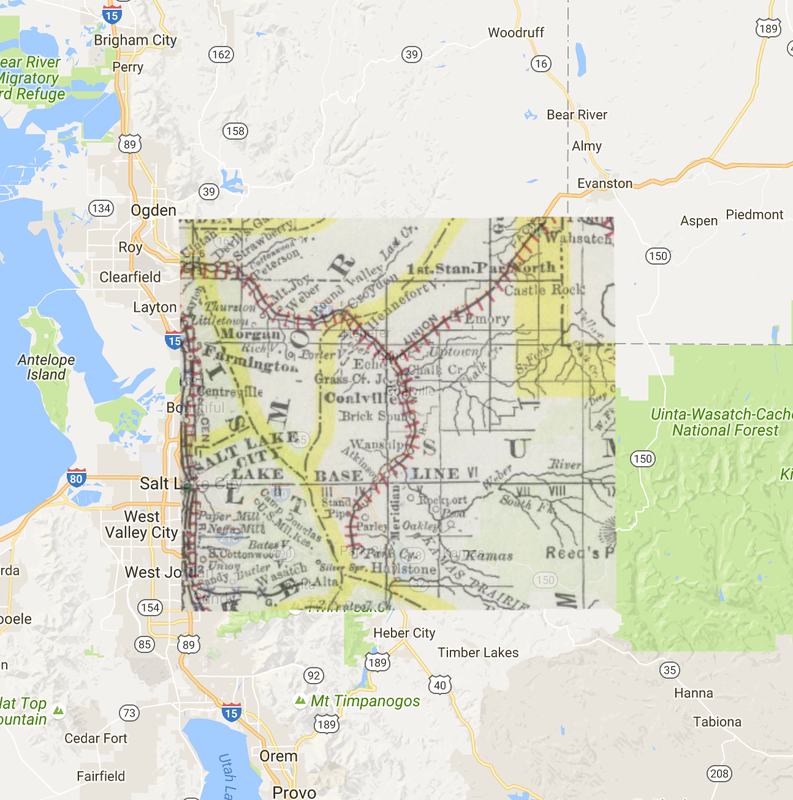 The map above shows a portion of an 1889 map of Utah published by Rand McNally and Company overlaid on a current map. 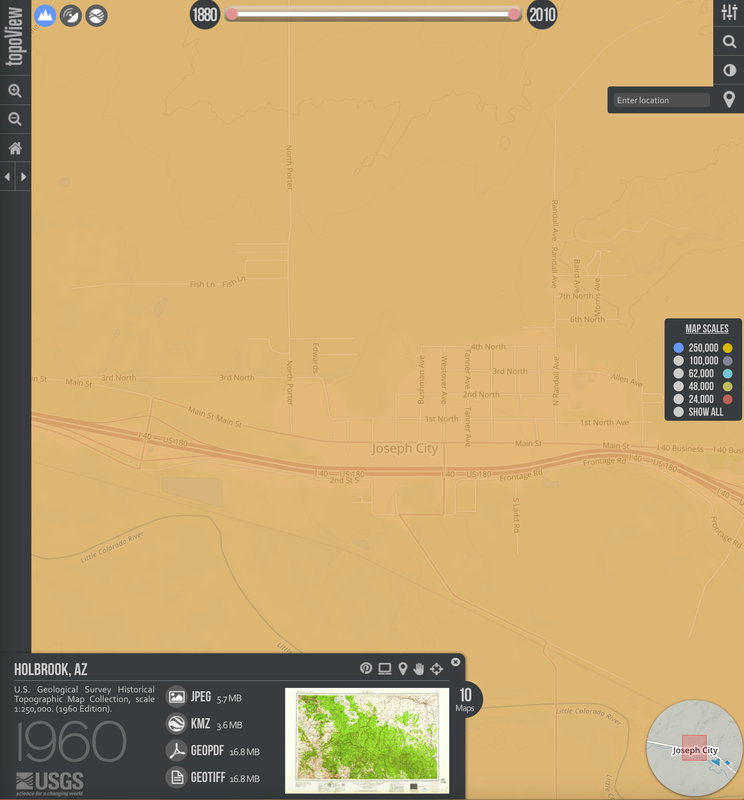 This map was created using the David Rumsey Map Collection tool called the Georeferencer. See http://www.davidrumsey.com/view/georeferencer. The process of overlaying historic maps on current maps or satellite views of the earth has been rapidly developing with the advent of GPS coordinate systems and computers with enough memory and processing speed to create such maps almost instantly. Why would a genealogist want to overlay an old map on a current one? The answer to that question really involves a consideration of the amount of the involvement of any individual genealogical researcher in complex research questions. Map overlays are sophisticated tools for resolving some difficult questions usually concerning identifying an elusive ancestor. However, it is important that all genealogical researchers know about this process so that if and when they are faced with a situation that can be resolved by resort to map overlays, they will realize that this is even an option. 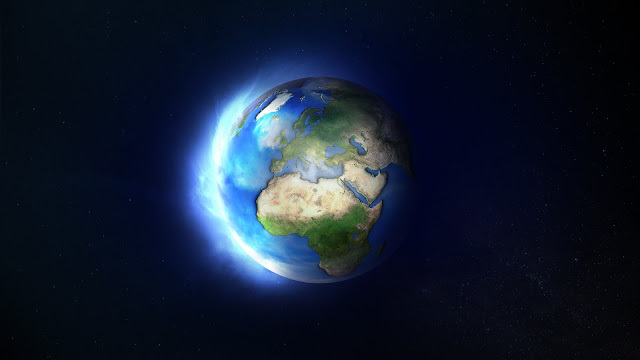 The events in our lives and our ancestors' lives are all associated with specific geographic locations on the earth. Any records that might exist about those events are also either specifically or generally associated with those same locations. One of the challenges of genealogical research is identifying the location of those events with enough particularity to help in finding the pertinent records and further, help in differentiating our ancestors with common names from all of the others with the same or similar names. 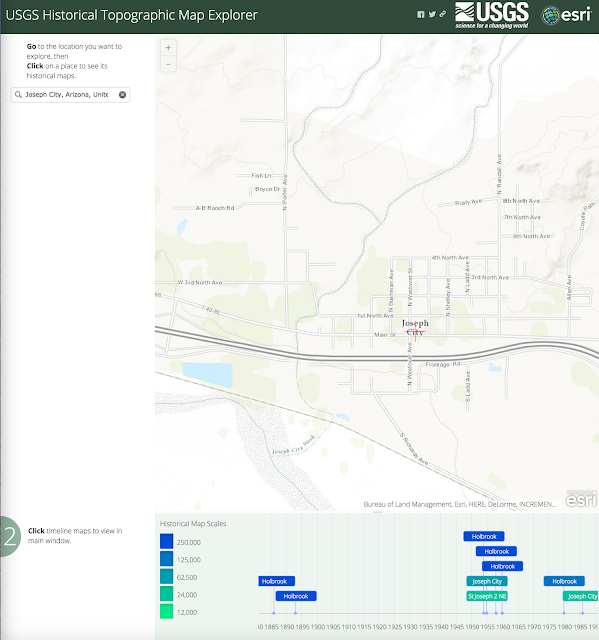 There are presently several ways to view maps through overlays and some of these ways include timelines that allow you see the changes in the maps over time. The first of these is the Unites States Geological Survey's National Map. 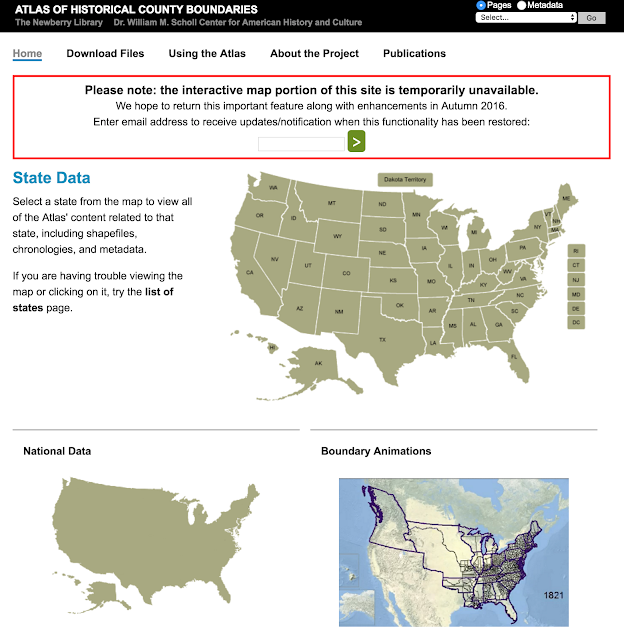 See http://nationalmap.gov/. This website is a fabulous resource for finding and exploring both the present and past in maps. 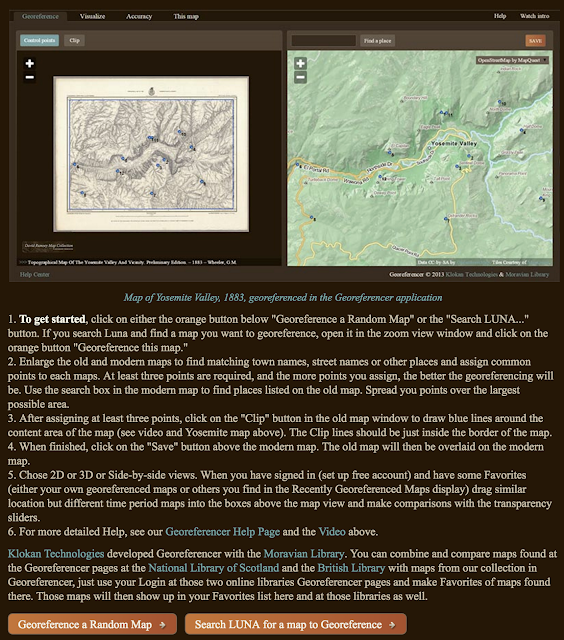 One of the many valuable resources on this particular webpage is the Historic Topographic Maps. 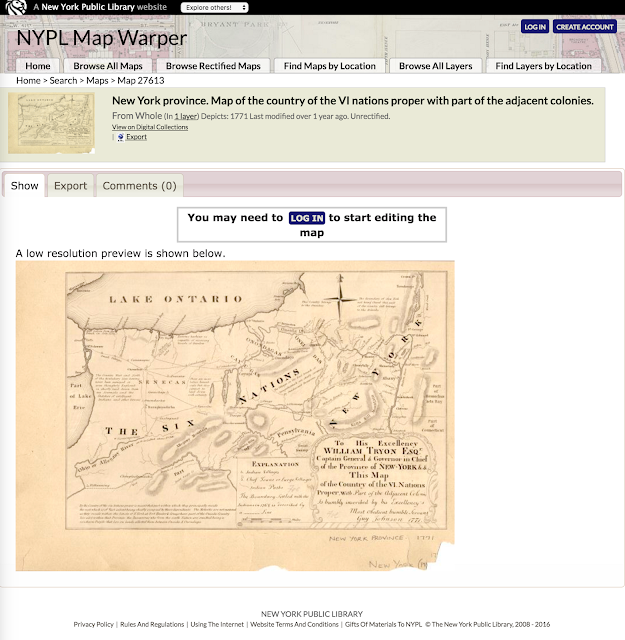 This part of the website lets the user view a set of historic maps with a slider that overlays the maps for a particular place and see the changes over time. 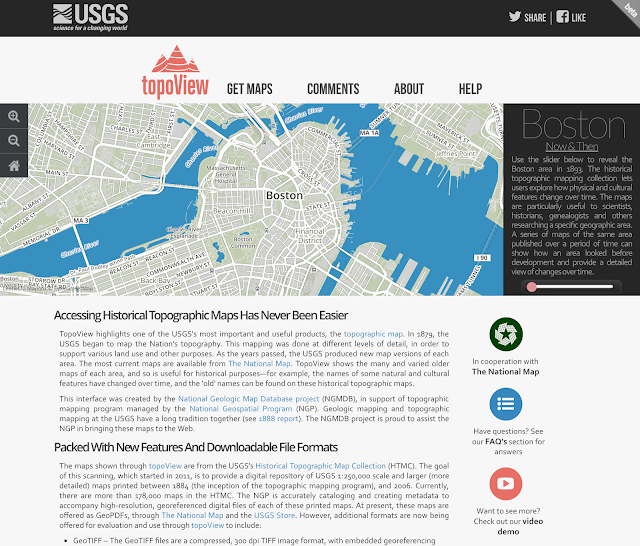 This program is called TopoView. 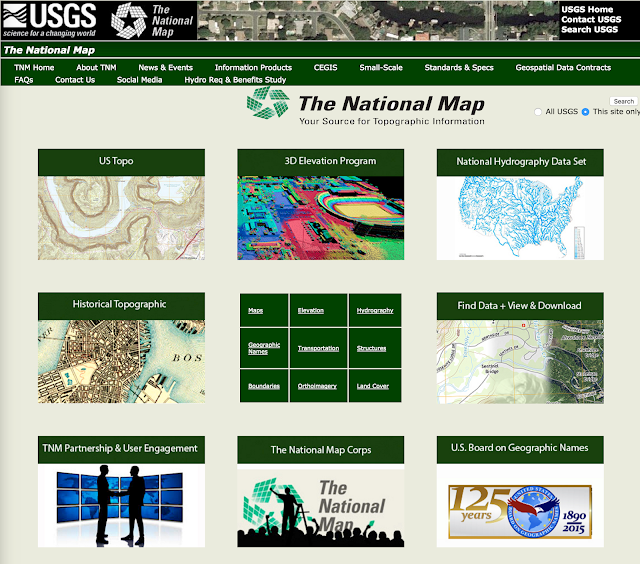 See http://ngmdb.usgs.gov/maps/TopoView/. You choose the location you wish to view from a large map of the United States. You zoom in to see the individual maps that are available for that area. 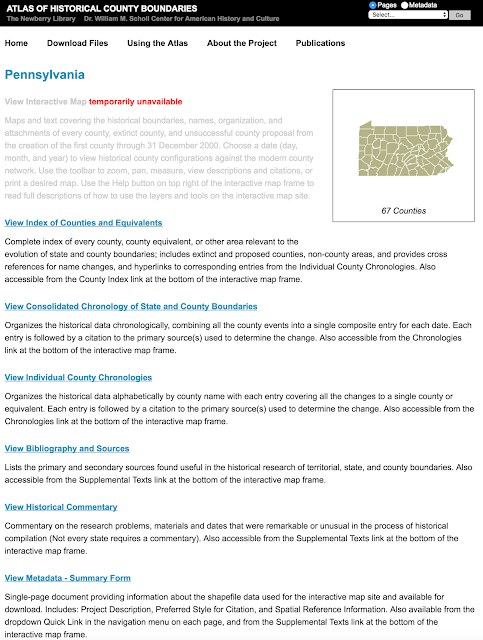 In this case, there are multiple maps available. You can view the individual maps or any set of maps in various views. Detailed information about how the program works is shown in this video. You can then use the maps along the bottom individually or in sets to see them in layers that can be adjusted by the sliders under each map. The maps are interactive and you need to explore the controls to see all the functions. Using the Newberry Atlas of Historic County Boundaries, (See http://publications.newberry.org/ahcbp/) you can view the boundary changes of every county in the United States over time overlaid on Google Earth. You need to have downloaded Google Earth and then go to the Newberry Atlas of Historic County Boundaries website and choose a state to view. 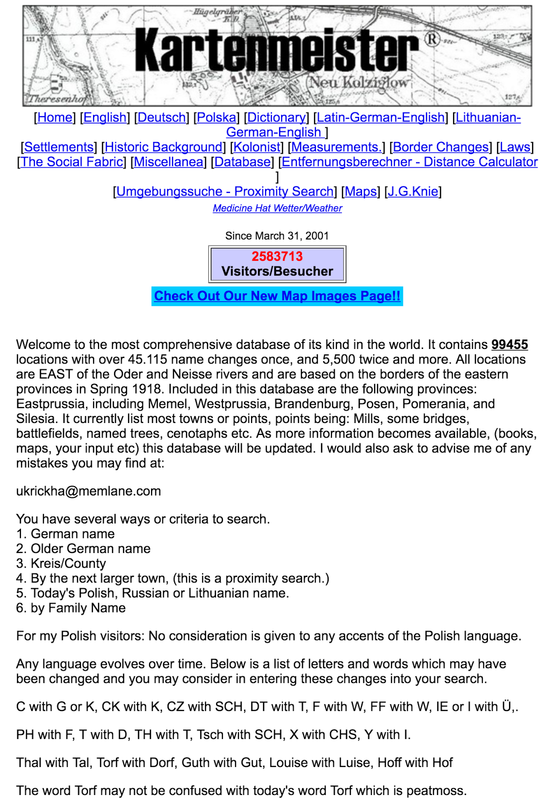 At the bottom of the page, I further selected the link to "Download the KMZ File for use with Google Earth." 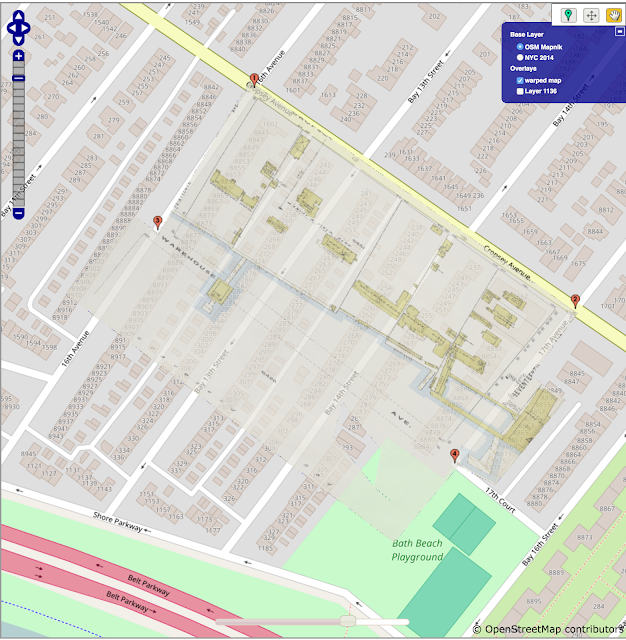 The KMZ file is a special file containing the historical boundary information from the Atlas that will be able to be viewed on Google Earth. The KMZ files usually downloads as a Zip file. Click on the Zip file to open it and then drag the icon for the file onto your icon for Google Earth or you can open the file from the menu in Google Earth. Here is a screenshot of how the file appears in Google Earth. 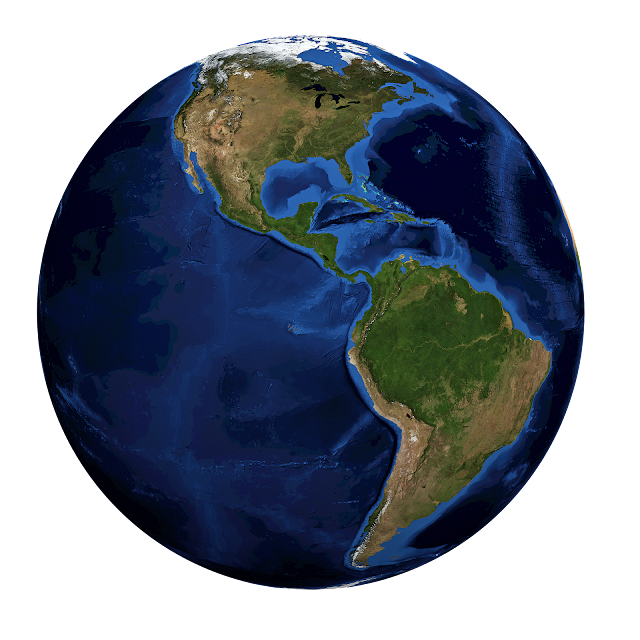 You may have to unclick several of the viewing options in Google Earth to get a clearer view. There is a slider in the upper left hand corner of the screen and you can use that to see the boundary changes. 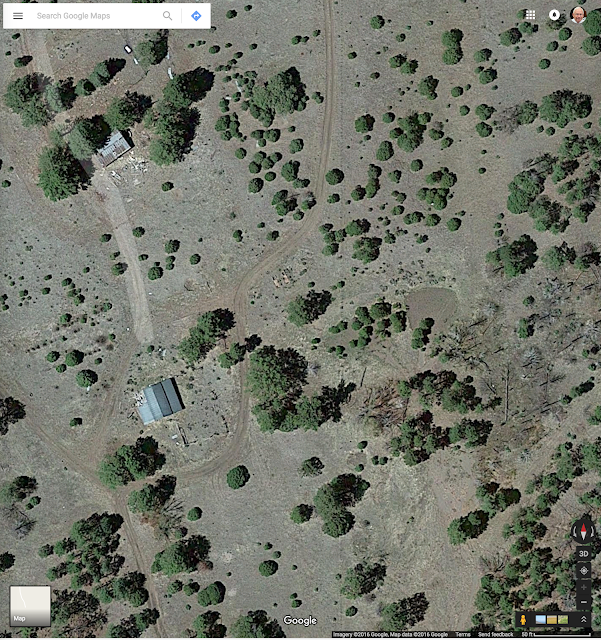 You can zoom in on the image to see the changes down to the house level in Google Earth. You can use this to view exactly where your ancestor's land was located in reference to all the historic boundary changes. 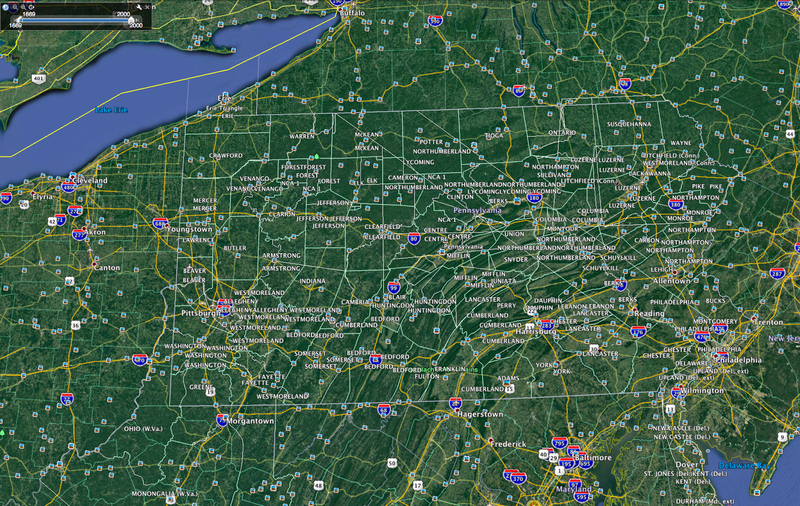 Next, here is one example of using a map overlay program to overlay an historic map over a current satellite view. There are several programs that can do this including a limited link in Google Earth. You can search for "overlay historic maps google" to find a long list of options. Above I have an example of a map overlay using the David Rumsey Historical Map Collection's Georeferencer. 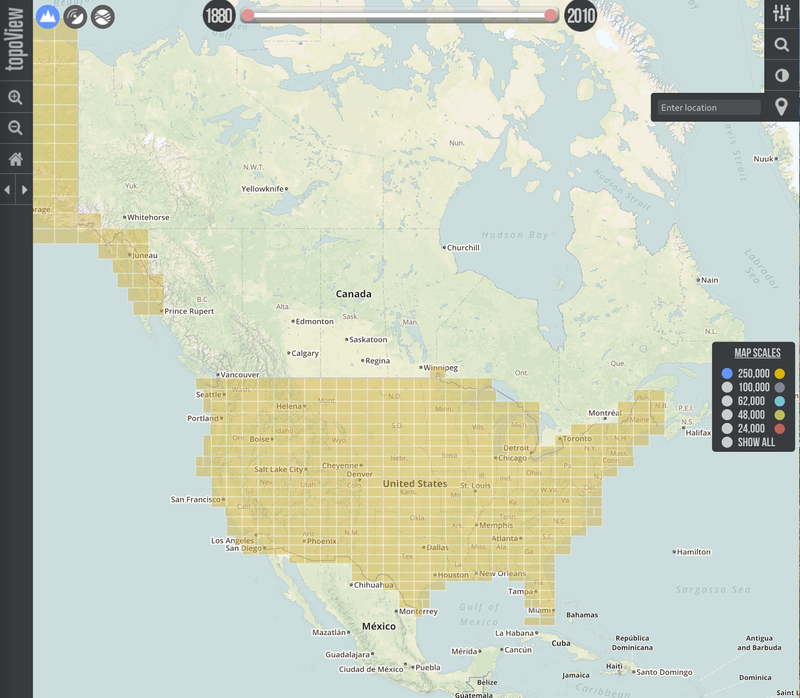 See http://www.davidrumsey.com/view/georeferencer. The program itself contains detailed step-by-step instructions about the process. You can see the results in the first image above. 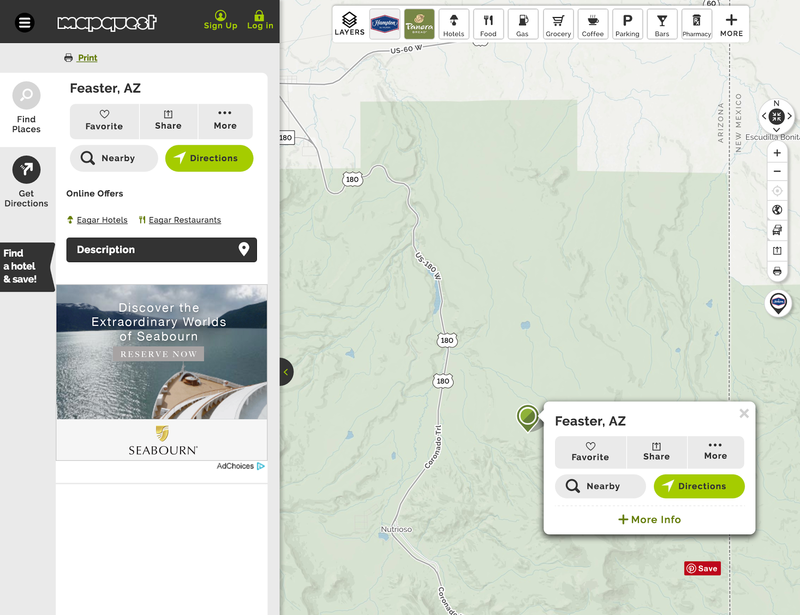 Again, you will find detailed instructions on the website for overlaying the maps on the "rectified" view. Here is a copy of a map as shown on the rectified view. You will have to sign up for an account and login to view the maps. This process may take some time depending on your computer and the speed of your connection to the internet. You can then vary the opacity of the image with a slider. Most of these programs must be experienced to fully understand how they work. This entire process is not just a toy, it provides valuable historical information that can be used by genealogists to located their ancestors' events with enough specificity to find additional records about their lives. 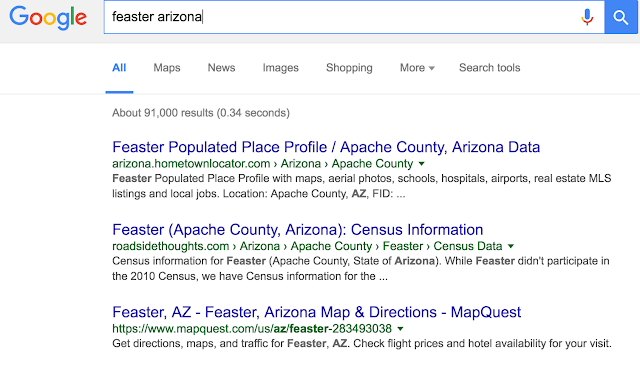 Clustering is probably not a familiar term to most genealogists. 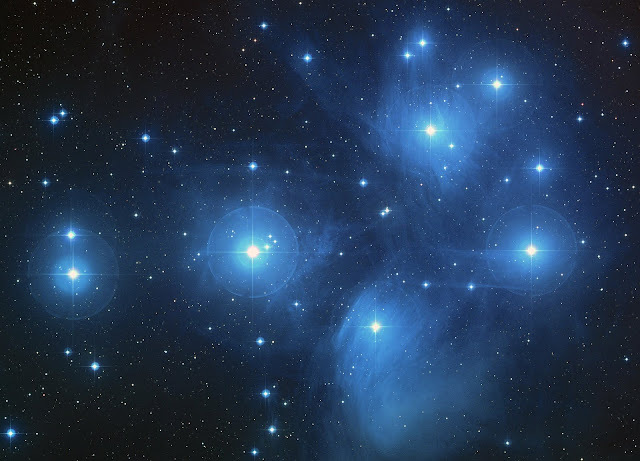 Cluster research is a methodological system devised to identify an elusive ancestor based on expanding the focus of a search to a broader area either geographic or by subject and then doing more research to eliminate unlikely possibilities until the remaining individual or appears as the only possible correct choice. A person's cluster consists of the extended family, friends, neighbors, and other associates such as business partners. Jones, Vincent L, Arlene H Eakle, and Mildred H Christensen. Genealogical Research; a Jurisdictional Approach. Salt Lake City: Printed by Publishers Press for Genealogical Copy Service, Woods Cross, Utah, 1972. 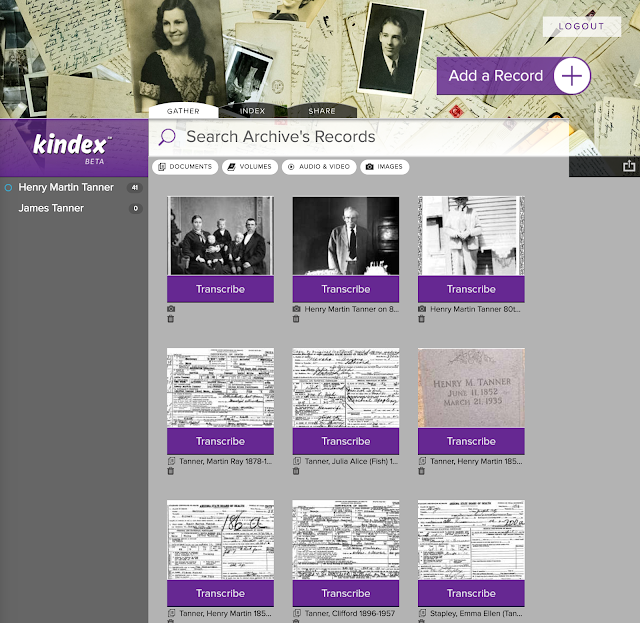 Jones, Vincent L, Arlene H Eakle, Mildred H Christensen, and Genealogical Institute. Family History for Fun and Profit. Provo, Utah: Printed by Community Press for the Genealogical Institute, 1972. Personal records -- Diaries, Bibles, journals, letters etc. Cluster research involves taking the routine searching of records and expanding the scope to include any possibly related individuals. I wrote about this about a year ago in a post entitled, "How does geographic clustering work?" See http://genealogysstar.blogspot.com/2015/12/how-does-geographic-clustering-work.html. 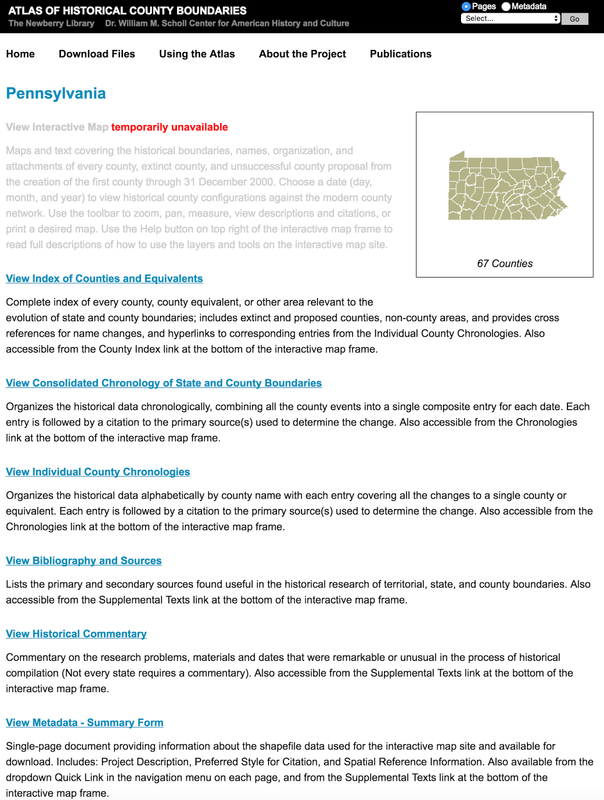 This explanation focuses on geographic clustering but it could also be expanded to include other classifications of clusters based on other types of records. In this case geographic proximity is the chief factor in determining relationships, but other records sources such as fraternal organizations, church records, and other similar records can also be used to advantage. Some of the researchers who utilize cluster research use spreadsheets to compile information, others use maps and lists. Whatever personal method you use, the concept is the same: gathering a broad spectrum of information and then analyzing the information to separate individuals and hopefully, finally determining which of all possible candidates is the elusive ancestor. All of the previous nine suggestions for jumpstarting your family history depend entirely on one thing: actually starting to do something. So here is a list of activities that will help you get moving and get started. They are not in any particular order and you can certainly try more than one of them at a time if you have the energy and time to do so. From time to time, all of us who are interested in genealogy or family history need to start over and think through the things we need to remember to do. When I was working in my retail computer store, we used to ask each other almost daily, "What business are we in today?" The same might be said about the huge changes that are arriving almost daily that affect the way we do genealogy. Perhaps we too should ask ourselves what business we are in today? Gather all your family documents and certificates and organize them into files or at least put them in order and in a place where you can access them easily. You might want to leave your home for some reason like a fire or other emergency very quickly and it is a good idea to have these documents available in a very short period of time. Then take the time to digitized all of them and back up the files online and on external hard drives. Take some time and interview all of your older relatives. There are some of us that are so old that we are the older relatives, but it is still a good idea to talk to your relatives about their families. A bonus would be to obtain oral histories of any who would agree to talk to you. Start now to plan to attend a major genealogy conference. 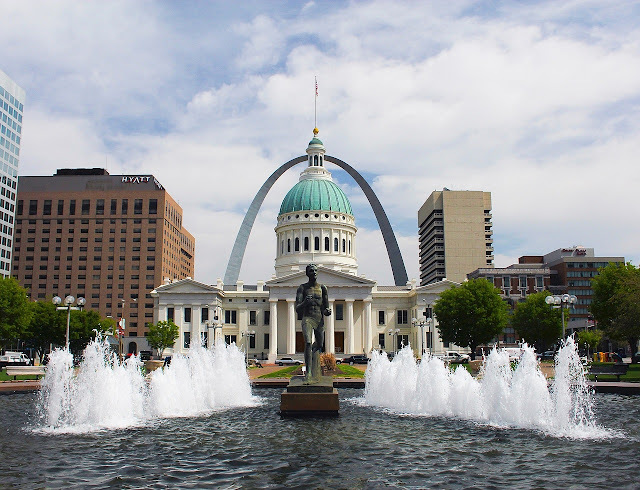 You will at least have an interesting time meeting and talking with other interested genealogists from around the country and even from around the world. You need to be prepared with good comfortable walking shoes and pace yourself during the conference. Read a book on genealogy. Attend a class or teach one to someone else. Any involvement in education will provide immesurable benefits towards become more competent. If you feel challenged by your lack of computer skills, find a mentor or a tutor or both and take some time to focus and actually learn how to operate with the new technology. 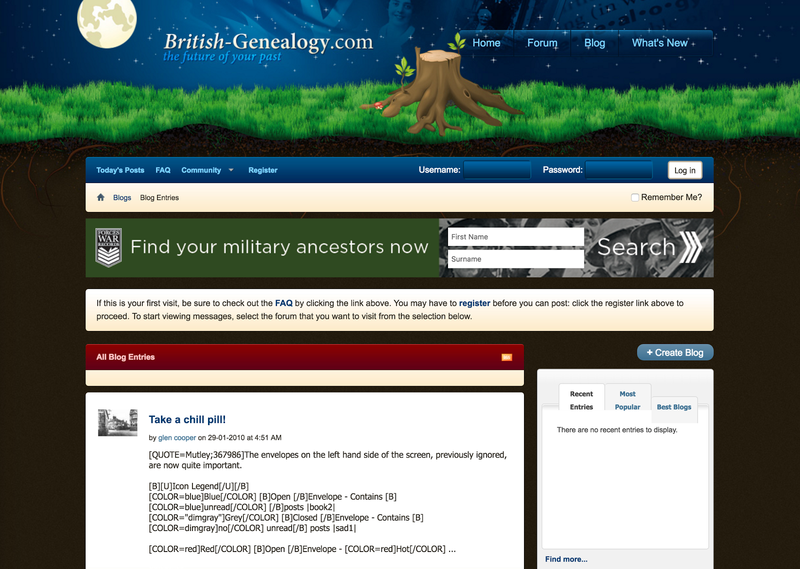 Visit an archive, library or other entity with a large genealogical collection. It is most helpful if you also have a mentor or professional to help you the first time, but reading up on the institution might do the trick. Start writing a blog online. 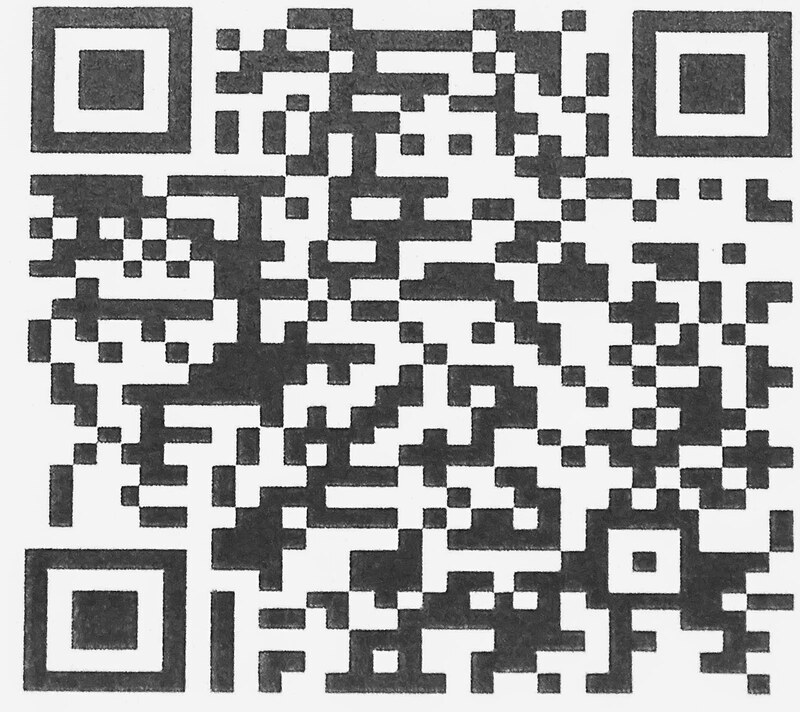 This is a good way to find family members and contacts across the world. If you need an example of how a family-oriented blog should be, you can use TheAncestorFiles.blogspot.com for an example, although you might end up with something completely different. 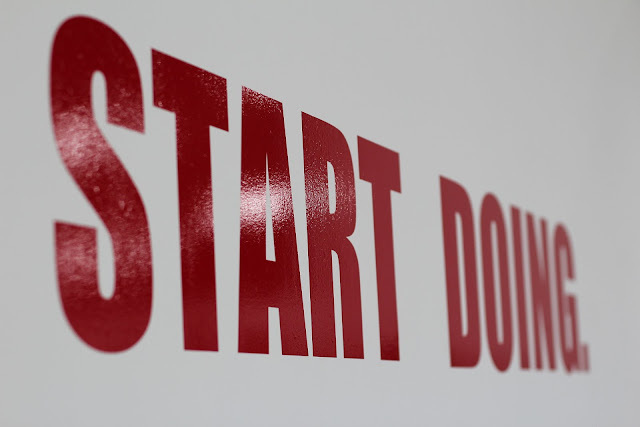 See "How to Start a Blog on Blogger" to get going. In our electronic based society today, perhaps we forget to read books for information. But even if you are glued to a computer or smartphone or tablet, you can find a lot of information about how to do genealogy. I think it is important enough that I need to start off this segment by reminding everyone about the resources in The Familly History Guide or TheFHGuide.com. This free, online reseource is a goldmine of information and instruction. Most of my early orientation and training about genealogy came from books, that is, real books with paper and covers. Unfortunately, most local, public libraries have only a very few, token books about genealogy. They may have huge sections on woodworking or car repair, but only a dozen or so randomly selected books on genealogy. So, we are forced to go to larger libraries or acquire a few books from online sources. Even with the vast resources online, genealogy books do not tend to get offered in ebook editions. Over the years, I have acquired quite a collection of books about doing genealogical research that I think are helpful and during my early years in learning about genealogy, I read straight through quite a large pile of books. I used to go to the Brigham Young University Book Store (now called just "The Store") and browse through their textbook offerings for their genealogy classes. I would buy anything that looked interesting and read it from cover to cover. Over the years, because of the vast changes due to computerization and the internet, this book would seem to have gone out of date, but it is still a reliable and valuable source for understanding the basics of how to find resources. You just have to realize while reading the book that many of the records Greenwood mentions are now available online from large and small websites. Szucs, Loretto Dennis, and Sandra Hargreaves Luebking. The Source: A Guidebook of American Genealogy. Provo, UT: Ancestry, 2006. 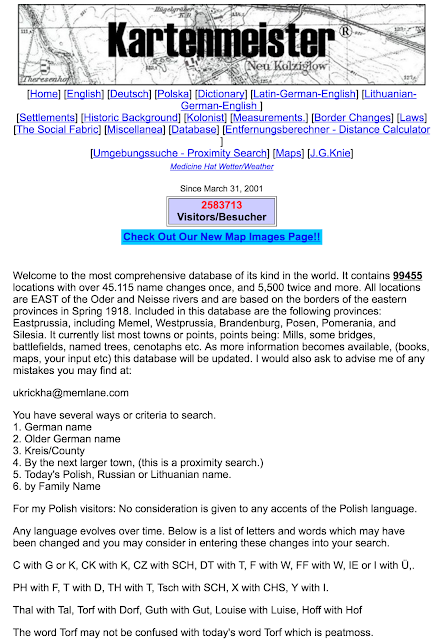 Technically, The Source is available online in digital format, but it is on a rather obscure website from Ancestry.com that the company has largely ignored called the Ancestry Wiki, See http://www.ancestry.com/wiki/index.php?title=Main_Page. The book is not set out as such, it is broken down into segments for reference. There are almost no contributors to this Wiki because Ancestry hardly ever mentions it and does not promote it at all, something that seems to be happening with the FamilySearch.org Research Wiki also. The next book is available online in ebook format and I must admit that I did read it on my iPad and do refer to it from time to time for clarification of issues that arise about the history of genealogy as a pursuit. By the way, this is the only book I know of that actually tells a more or less complete history of how we got to where we are today in genealogy. One thing you do have to remember when starting to learn about genealogical research is that most of the books and articles on the subject have been written either before computers became widely available or by people who have little or no background in technology. Even in some online sources, there is a decided emphasis on paper-based techniques and methodology. It will likely take some time for the "old guard" to retire and the new electronically based generation to be heard. I have been trying to bridge the gap between paper and the internet for some years now and I still read currently published articles that talk about using paper forms for genealogy. I simply do not have time to do the work twice. I cannot write it down on paper and then ultimately have to transfer it to a computer program. For those who are acquainted with and work in the Family History Library in Salt Lake City, Utah, you might want to read the following book. It is still available from several suppliers online from Amazon.com. Allen, James B., Jessie L. Embry, and Kahlile B. Mehr. Hearts Turned to the Fathers: A History of the Genealogical Society of Utah, 1894-1994. Provo, Utah: BYU Studies, Brigham Young University, 1995. Of course, I need to mention Family History Centers sponsored by The Church of Jesus Christ of Latter-day Saints and its subsidiary, FamilySearch.org. There are almost 5000 of these around the world. They are staffed by a virtual army of volunteers and vary from a single room in a local church building to elaborate libraries such as the largest genealogical library in the world, the Family History Library in Salt Lake City, Utah. I also like to keep reminding everyone that the second largest such library is also located in Utah and is the Brigham Young University Family History Library on campus in Provo, Utah just 45 miles or so south of Salt Lake City. Now what about classes? There are a lot of very local and not-so-well-known or publicized conferences that go on every year. But there are also a few national level conferences that you might be able to attend. Both the U.S. and England have a major conference once a year. In England it is called "Who Do You Think You Are?" and will be held on April 5-8 in Birmingham, England. One of the main benefits that accrues from attending a really large conference is finding out there really are a few people out there who are doing genealogy. Of course, we have a very large conference in the United States also in the form of RootsTech 2017 in the Salt Palace in Salt Lake City, Utah on February 8-11, 2017. This is a much newer conference than the one in England. There are hundreds of classes and other events going on and it is an exciting event. The best and possibly only way to find out about a genealogy conference near you is to go online and search for "genealogy conference" and add your own state or province. When I did this for Utah, I found several events listed some of which are annual events. Last, but not least, you may want to join a local genealogy society or group. When I was living in Mesa, Arizona, the local Maricopa County Library had a periodic genealogy coference and they had an interest group organized also. In addition, several of the retirement communities in the Salt River Valley had genealogy interest groups, some of which had classes and conferences. In addition, from time to time, some of the wards and stakes of The Church of Jesus Christ of Latter-day Saints hold Family Discovery Days, although few of these are even locally publicized outside of the Church itself. 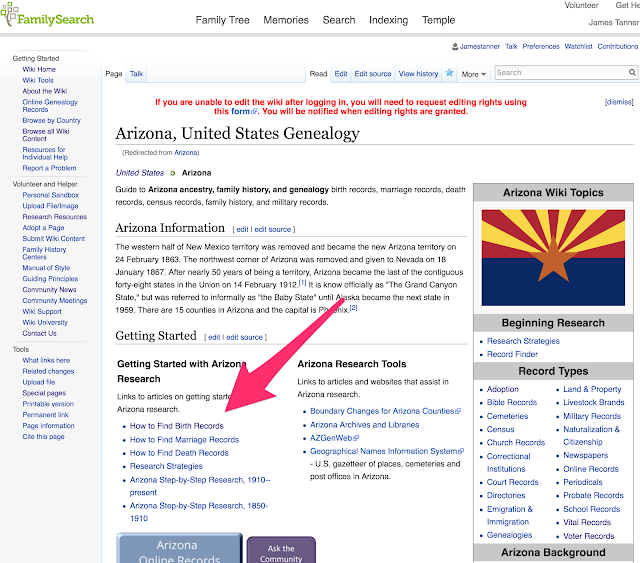 So now you are probably ready for the last step in jumpstarting your genealogy. Once you have entered everything you know or can easily find out about your family, you may start asking what is next? Where do you go from here? If you have entered your family information into one of the large, online family history programs, you may have already gotten some hints concerning documents that might add addition information and in some cases, additional people to your burgening family tree. If you have exhausted all your record hints, the next step is to start doing your own research, that is, looking for documents that might provide more information about your ancestors and their family members. 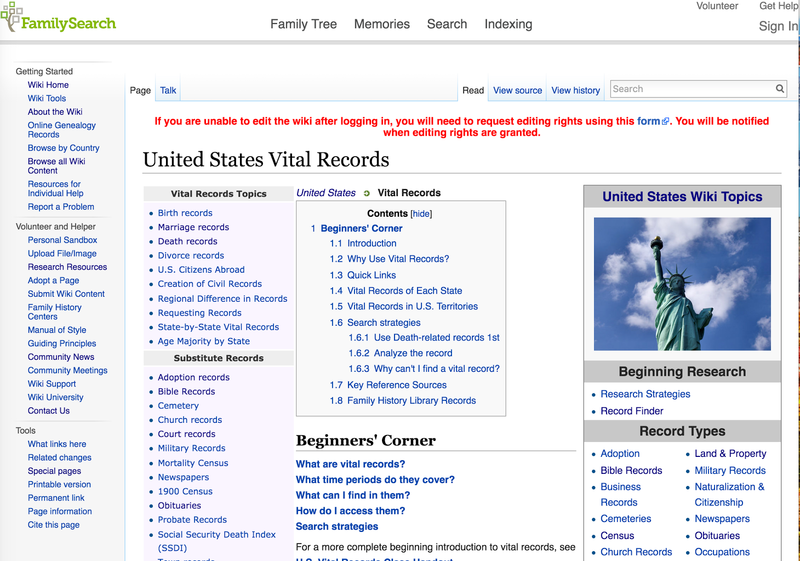 By studying the information on this page and all the pertinent links, you will know a lot about vital records and where to find them. This same page gives additional information about marriage and death records. 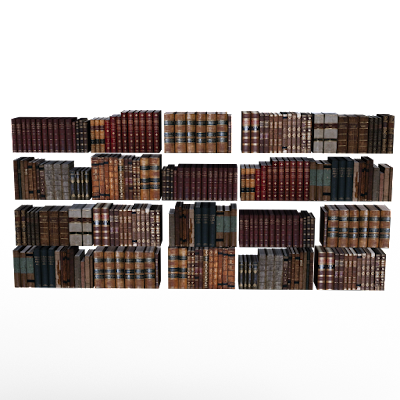 If you continue to follow the links in the Research Wiki you will soon acquire enough information to begin actually searching for some records. Another option is to go to The Family History Guide or TheFHGuide.com website. Project 4: Discover will take you through a step-by-step approach to acquire essential research skills. This particular approach leans more towards traditional, i.e. paper-based, genealogy than it does today's computer driven research using primarily online resources. If you are using one of the major online database programs to host your family tree, such as the FamilySearch.org Family Tree, Ancestry.com, Findmypast.com or MyHeritage.com, you will find that each individual in your family tree has a link that essentially allows you to search the records on that particular website. 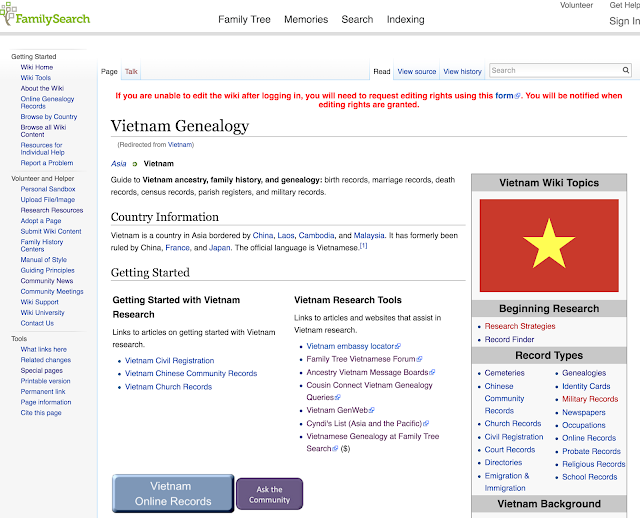 The FamilySearch.org Family Tree has links to search three other websites; Ancestry.com, Findmypast.com and MyHeritage.com. The idea of doing research involves asking questions such as "When was my Great-grandfather born?" 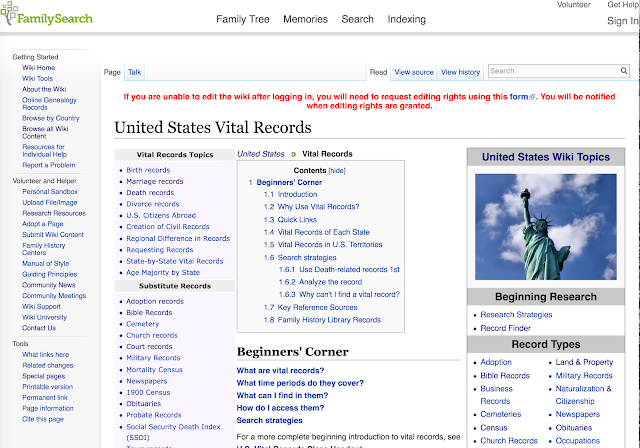 Then, learning where records that can answer that question might be kept. Then searching the record for information about your ancestor. 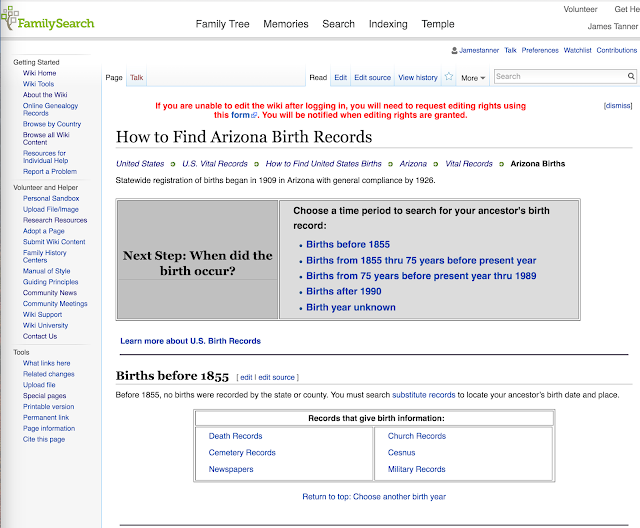 Here is an example of a search using the links on the FamilySearch.org family tree. 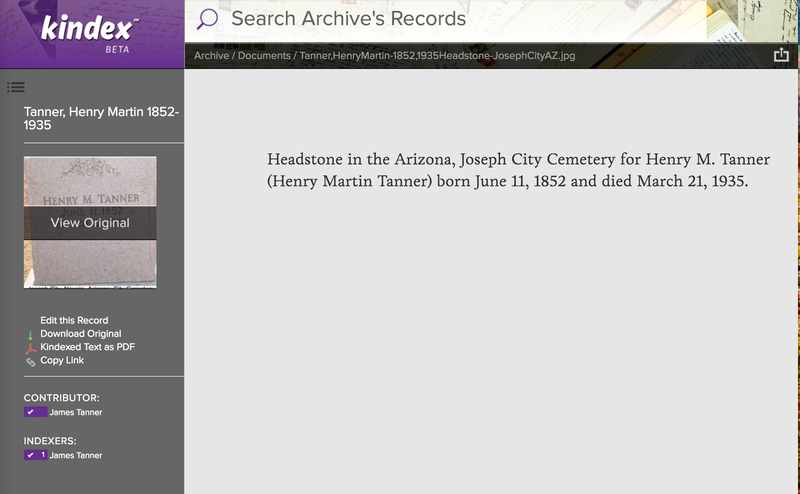 Let's suppose I was looking for the birth date of my Grandfather, Leroy Parkinson Tanner. Most beginning researchers would think they neeeded to start searching for a birth record or birth certificate. 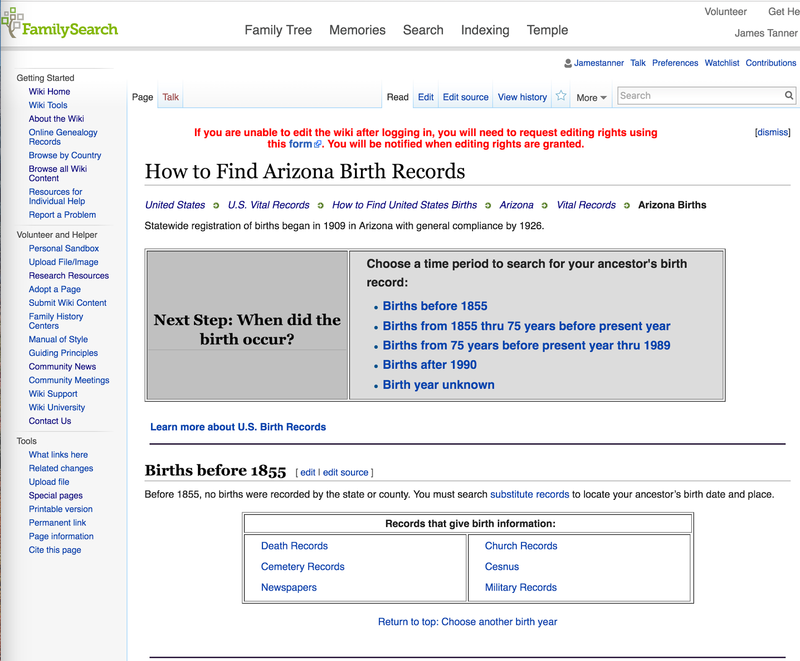 However, since I have been reading in the FamilySearch.org Research Wiki about "birth records" and since I suspect my Grandfather was born in Arizona, I look in the Research Wiki for information about Arizona birth records. Here is what I found. In order to find the birth date, I need to find a record that would have recorded his birth date. In this case, the types of records that I should search for are listed under the heading "Records that give birth information." If I have no idea or cannot estimate when he was born, I may have to search through a number of different sets or collections of records. 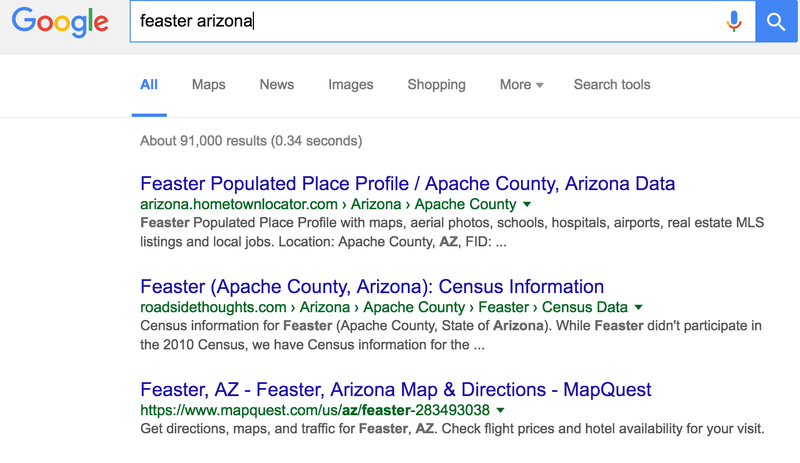 But in this case, I remember that FamilySearch.org provided a record hint to a U.S. Census Record. 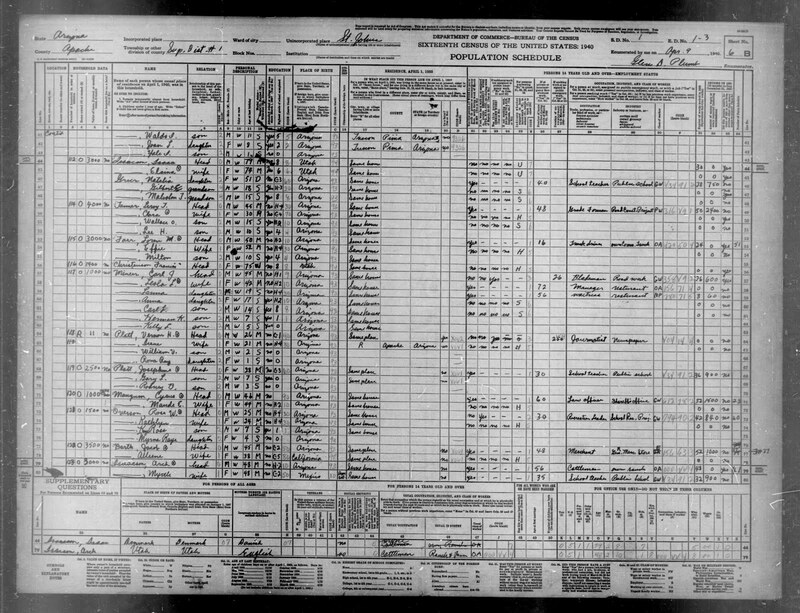 Here is a copy of the Census record showing that Leroy Tanner was 45 years old in 1940. So he was probably born in about 1895. Going back to the Research Wiki and looking at the time period that includes 1895, I come to the website for Arizona Genealogy Birth and Death Certificates or Genealogy.az.gov. But my search does not produce a copy of the birth certificate, likely because birth certificates as noted on the Research Wiki page were not mandated until 1909. 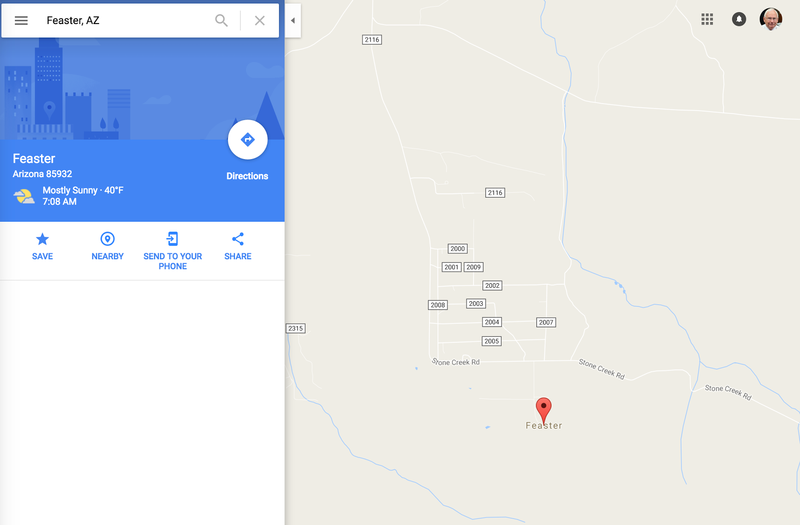 Where else can I go to search? One of the options listed for finding birth information is in military records. Since Leroy Tanner was born in 1895, he would have had to register for the draft at the time of World War I. This is the kind on information that genealogists need to know but only comes through knowing some history and then associating historical events such as wars, with the dates of of events in our ancestors' lives. I go to my part of the Family Tree on FamilySearch.org and click on a search in FamilySearch.org. After sorting through the possible entries, I find a Draft Registration Card for Leroy giving his birth date of January 12, 1895. Here is a copy of both sides of the Draft Registration Card. Finding more information may be just that simple or much more complicated. But now it is time to move onto the next step.